Reach your weight loss goals, build muscle, eat balanced or even manage an insulin-dependent diabetes or your cholesterol, FREE App today! The SCiO scanner, developed by Consumer Physics, is an innovative tool that uses infrared spectroscopy to determine the chemical makeup of food and drink. How does it work? To explain – each type of molecule in a food vibrates in its own way, and these vibrations interact with light to create a unique, optical signature. The SCiO scanner analyzes the content of food based on how its molecules interact with light. Spectrometer technology can now be integrated in small and portable devices. Power on the SCiO by pressing and holding the button. When the SCiO is powered up, a flash will indicate that the devise is ready to be connected. Turn on the DietSensor application and activate the Bluetooth. For the first connection, click on the icon at the right of your screen and choose the nearest SCiO. Start the calibration process by clicking on the SCiO (no new calibration will be required unless you uninstall the app or switch to another SCiO). You need an Ultimate Plan to be able to use the SCiO. After purchase, you will have to create a Consumer Physics (CP) account (use the sign up blue button on the CP login screen). In the meal screen, select the SCiO icon and follow the steps. To scan a food item, point the SCiO about a ½ inch from the food without moving. Firmly press the button of the SCiO and release it. Wait for two flashes before moving. For best results use the scanner in a very bright environment. This will prevent the SCiO from interacting with other infrared waves and gives more accurate results. The food must be homogeneous. 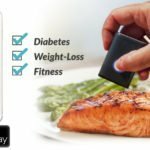 DietSensor is an innovative nutritional tracking tool for chronic disease management, weight loss, and overall health and wellness. The solution comes with a mobile app and personalized coaching that helps individuals better manage their nutrition by providing accurate and easily accessible nutritional support. With the mobile app and coach, you can create a personalized nutrition plan comprised of meal plans and targeted macro nutrient intake goals. DietSensor connects to both the SCiO food scanner and Bluetooth digital scale, both optional devices. The smart scale weighs food portions and sends the information directly to your mobile application for accurate food tracking. With the pocketsize SCiO scanner, you can scan your food for accurate carbohydrate, protein, and lipid amounts. Let DietSensor help you eat smart, and stay balanced! 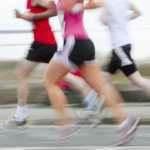 When it comes to losing weight, can you outrun a bad diet? DietSensor, the innovative nutrition coaching app, has been named a 2016 CES Best of Innovation Awards Honoree for the first time. With this honor, DietSensor is named one of the 27 best digital innovations in the world.